Shroomz and I are proud to present you with a sneaky peek at our first Scope synth – The C4T Monosynth. 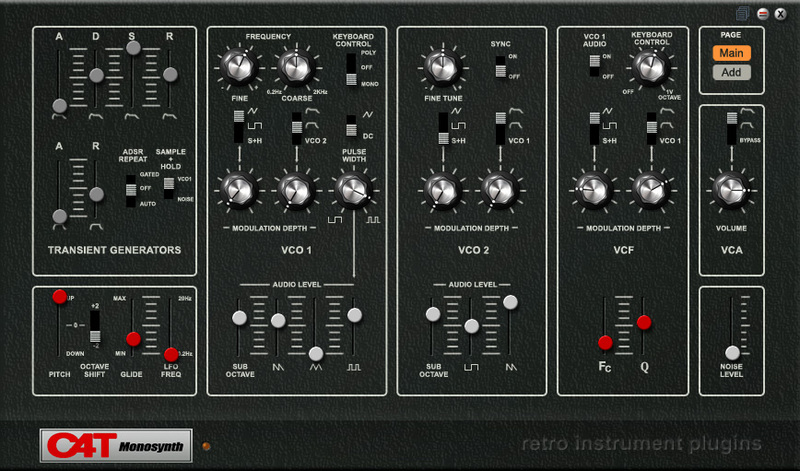 It’s based on our Octave CAT which is one of my favourite monosynths. At the moment it’s still an early beta and we plan on adding several new features as well as a few more tweaks here and there to get an even closer representation of the original.